Technology is an integral part of our lives, and that can include the way we read. This is a list of online resources that provide book-related content, from reviews and interviews to audio books and downloadable e-Books. Find a broken link? Be sure to let us know. Audible Kids – This website offers an enormous selection of books for kids and young adults. You can browse by Bestsellers, New Releases, Customer Favorites, Animal Stories, Biographies & History, Classics, Fables, Fictions, Mysteries, Nonfiction, Sci-Fi & Fantasy, and more. Baldwin Online Children’s Project – This amazing resource provides one of the best classic book collections that can be found online. Many of the books include illustrations and can be read on the web using a customizable reader. The Best Children’s Audiobooks – Bianca Schulze offers links and video in this post at The Children’s Book Review, November 2009. Big Universe – Big Universe is an award winning book site with unique offerings for children. Visitors can read free ebooks online or create and publish their own ebooks for other people to read. Big Universe also provides a place for children to share and recommend books they’ve enjoyed. 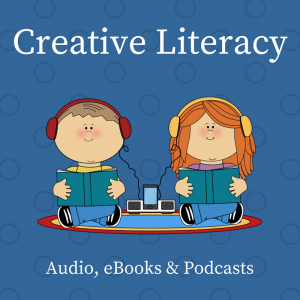 Book Bites for Kids – During her weekly Blog Talk Radio program, host Suzanne Lieurance chats with authors about their books, writing for children, and literacy. BookGlutton – Book Glutton is a great site for older children who want to find, read, and discuss ebooks. The site allows you to read books on the site or import books from the web or your hard drive. Book Glutton books can be read alone or with a group of people. ByGosh.com – The site provides a modest collection of illustrated classics for younger children (Three Little Pigs, Alice’s Adventures in Wonderland, etc.) and classic novels (Huckleberry Finn, Peter Pan, etc.) for older children. Children’s Books Online – This Rosetta Project site is an online library of antique illustrated children’s books. Books are indexed by reading level: pre-reader, early reader, intermediate reader, advanced reader, adult reader, and foreign language reader. Christian Audio – Find all types of audio content, from podcasts to audiobooks. The site offers a free audiobook download, titles change each month. There are two download formats: MP3 and WMA. Classic Book Library – A wide range of free classic books that can be read online. More than 30 free books are available in the children’s literature category. Classic Reader – Classic Reader is an excellent place to find free classic ebooks. The site has a special section for young readers with more than 200 of the world’s best loved classics. All of the books can be read for free online and may be reviewed after reading. Cool Head Stories – This is a collection of online stories for children learning to read (ages 5 to 8). Each story is designed to help a new reader and there are questions for assessing comprehension at the end. eBooks.com – Find books sorted by genres and for all ages. Read excerpts for new and noteworthy titles for free. Downloads are available in Adobe, Microsoft Reader, and mobipocket reader formats. Fiction.us – Fiction.us is a great place to find classics, short stories, novels and plays for older children. The site also has a small collection of picture books for younger readers who enjoy illustrations with their text. Free-Books.org – This no-frills website has more than 130 free ebooks for children in MP3 format. Books can be downloaded to any computer and burned to a CD or USB. Hans Christian Andersen Online – This site features a complete collection of stories from Hans Christian Andersen–nearly 170 stories in all. International Children’s Digital Library – The ICDL hosts many different reading resources for children, including a wide range of illustrated books that can be read for free online. Books are easy to locate using the ICDL search features and are often available in multiple languages.Books are sorted by age group, type, genre, and length. iStorytime – iStoryTime is a library of narrated childrens books for the iPhone™ iStoryTime brings the joy of a kids’s book to the convenience of your iPhone or iPod® touch. Pages can be turned automatically or manually depending on the age and preference of the user. And you can choose the style of narration — an adult voice, child voice or none at all..
LibriVox – All titles on this site are free. These are books in the public domain, recorded and available for listening. You can select from the catalog or download one of their thematic podcasts (e.g., poetry, short stories). There are MP3 and ogg download formats. Lil Fingers – Lil Fingers offers a small collection of story books for young children. Books can be read online and include sounds and graphics. The Literature Network – This is a place children to find free books to read online. The site hosts classic books as well as author biographies and quizzes. Magic Keys – This site offers free illustrated ebooks for children of all ages. Storybooks are separated into three categories: young children, older children, and young adult. Other site offerings include online games, jigsaw puzzles, and interactive coloring pages. Mobi Stories – The site features digital books for kids. These virtual books can be played on computers, xBox, Wii, and PlayStation products (see site for more details). You can try one book for free. Mobi Stories is a service available in some libraries systems. MrsP.com – Mrs. P reads classic children’s stories that have proven their value through the test of time. The authors whose work is presented on MrsP.com are the finest writers who ever lived. To complement the storytelling experience, Mrs. P commissions both new and established artists to create original artwork for each story. While our website will feature interactive reading and spelling games, a magical library that literally comes alive and visits from some unexpected and sometimes famous guests — the heart and soul of our content on MrsP.com will always be a gifted storyteller reading great stories enhanced with a few simple illustrations. Mrs. P prefers not to compete with big-budget Hollywood movies, elaborate video games and virtual worlds; she would like to help kids learn to use their imaginations. Online Books Page – The the site offers more than 35,000 books that can be read for free online. Many of the books are classic stories that would be appropriate for older children and young adults. Odyssey Awards – This is the American Library Association’s (ALA) program for honoring “the best” audiobooks for youth available in English, in the US. Each year, a winner and several honor titles are awarded. PublicLiterature.org – This site offers two features for young booklovers: a modern books blog, which features new works and new authors, and a classic books section, which offers an easy-to-use interface for reading classic books online. ReadPrint.com – This free online library serves both children and adults. It is an excellent place to find classic novels, poems, plays, and short stories. RIF’s Book Zone has delightful animated stories and songs for young readers. Signed Stories – Here’s a wonderful place to read stories online for those who are hearing-impaired, and those who are not. Kids can practise their reading by listening and following the subtitles, and there’s sign language for kids who need it. Each one is a little video, showing the illustration and text for the page, plus the person signing the text for that page, and the audio running concurrently. Speakaboos – This membership site is designed for pre- and beginning readers. There are classic stories (like Where the Wild Things Are) and stories written for the site that have familiar characters. Stories can be downloaded and read offline. Starfall.com – This site offers free books and other material that can be used to teach small children how to read. Most of the books are suited for kids in kindergarten through second grade. WorldTales.com – World of tales is a collection of more than 600 folktales from around the world. They are read on the site itself, and there are ads. Author and Illustrator Interviews – Interviews about books and making of beloved books is a great way to engage readers in reading. Podcast.com – Within this website is a list (with links) to all of the authors featured on Reading Rockets Meet the Author. Podiobooks – Receive free, serialized books delivered on your schedule. The company asks for donations along with your download. 75% of the donation goes to the author. The books are distributed by RSS, much like a podcast, or by listening to episodes on the site. The audio file can be used on your computer, burned to CD, or loaded onto your MP3 player. Project Gutenberg – Project Gutenberg was not created exclusively for children but the site does have quite a few ebooks that would be interesting to children. More than 35,000 free ebooks are available through Project Gutenberg in all. Other offerings include free audio books and DVDs. Read Print – The Read Print library hosts thousands of free ebooks and poems, many of which are suitable for children. Most of the books on Read Print are classics, such as Peter Pan and Alice’s Adventures in Wonderland. Read, Write, Think – You can subscribed (through iTunes) to “Chatting with Books” by Emily Manning on the Read, Write, Think website. Emily chats with kids, parents, and teachers about the best in children’s literature for ages 4-11. In each podcast, she typically interviews a popular author as well. I’ve found many new books for my kids (and myself) through this podcast series. Story Nory – This is an online resource for audio stories that include new stories, fairy tales, myths, histories, and some poetry. The MP3 downloads are free, and each story has a script that you can print as a read-along/follow-along. Storyline Online – The Screen Actors Guild Foundation sponsors this collection of actors reading children’s picture books. Kid’s Book Reviews Moms – who also happen to be authors – review books for kids. KBR is based in Australia and is guaranteed to expand your reading interests. Learn Direct – Interact with and make changes to books online. The site prompts kids to make changes to the text if they wish, and there are activities to complete inside the story such as matching homonyms, and finding small words inside larger ones. Literacy Launchpad Amy is an early literacy teacher. Find great resources and reading tips on her blog. Reading Rewards This is a FREE reading incentive program for kids that blends your interest in promoting reading with their interest in playing games and having fun. Resources on the Web – Andromeda Jazmon created an extensive, annotated list of literature-related resources on her blog, A Wrung Sponge. Storyline Online – The Screen Actors Guild Foundation sponsors this site. You will find videos of famous people reading books to children. Teach Mama Amy (a teacher) created this blog to empower parents by giving them simple tools and resources so they can become the best teachers they can be for their children.